Wisconsin, which shares most of its political philosophy with the great state of Alabama, might seem like an odd place for conservatives to launch a campaign designed to convince Republican politicrats to support renewable energy. But that is exactly what is happening in the Badger State, where the Wisconsin Conservative Energy Forum was unveiled last week. The chairman of the group is none other than everybody’s favorite cheesehead, Tommy Thompson, the state’s longest serving governor and secretary of Health and Human Services in the Bush Lite administration. According to US News and World Report, the group started taking shape in Michigan — a nearby state where sanity still reigns — 4 years ago after some conservatives noticed that Democrats had taken the lead on renewable energy. Already in firm control of the Wisconsin state house, legislature, courts, and all municipalities except for the city of Madison, conservative thinkers in the state decided bold action was needed to keep the hated Dems from having any political arrows in their quiver at all. Scott Coenen, the group’s executive director, claims the organization is not a lobbying effort. Its sole purpose is to educate Republicans that “renewable” and “clean” are not dirty words that should make right-thinking representatives of the people recoil in horror. 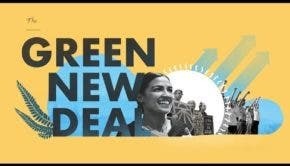 Its mission is solely to convince Republicans who have been taught that all talk of renewables is fake news based on junk science that clean energy might actually offer some economic benefits, such as job creation and lower energy bills. It’s been a tough sell among Stepford Republicans who march in lockstep to the tune called by the Koch Brothers. “There’s a fair amount of shoulder shrugging and general questions about it,” Coenen says. “Nobody associates renewable energy with Republicans.” But he thinks the message will resonate with younger people who will be driving the political process in coming years. Ryan Owens is a political science professor a the University of Wisconsin in Madison. At a news conference announcing the creation of the Wisconsin Conservative Energy Forum, he said he hopes the new group will help bring public and private leaders together to create beneficial bipartisan policies. If so, it will be the first bipartisan initiative Wisconsin has seen this century. “There’s an excellent opportunity for us to bring this conversation back to a common sense position that Wisconsinites can get behind and that will benefit us all,” Owens said. Not everyone agrees. Scot Ross, director of the liberal group One Wisconsin Now, called the new forum a “Republican front group” that will “raid the state treasury for private companies.” In other words, business as usual in a state where cheese is valued more highly than basic principles of democracy. Ross may have a point. Later in his remarks, Coenen trotted out some of the same tired language espoused by conservatives nationally. He said his group favors an “all of the above” strategy for energy production. That translates into support for wind, solar, hydro, and biofuels, but also for fracking, natural gas, and nuclear power. Mark Pischea is the leader of the Conservative Energy Network. He says that conservatives interested in promoting renewable energy need to choose their words carefully. “What we’ve found as conservatives working in this arena … climate can often be a barrier to a productive conversation, given the politics around climate, especially on the right,” he tells the Journal Sentinel. The new group in Wisconsin is affiliated with similar organizations in 18 other US states. Last year, they sponsored a public opinion poll that studiously avoid using the words “global warming.” Don’t want to do anything that might upset “the base,” now would we? It must be hard for Pischea and his colleagues when their party’s position on global warming, climate change, and the Paris climate accords is summed up by the stunning stupidity of James Inhofe, the “enlightened” senator from Oklahoma who brought a snowball onto the floor of the US Senate to “prove” that climate change was a liberal hoax — and was applauded by his knee-jerk reactionary peers for doing so. Ah, winter still exists, which means the globe hasn’t been warming. It is encouraging that some so-called conservatives are trying to marshal political support for renewables, but watching the Republicans in Congress tie themselves in knots trying to shovel more taxpayer dollars into the pockets of super wealthy supporters leaves precious little room to believe any of them have a shred of concern for the welfare of the people they pretend to represent.